If you own a business, you should already have a Facebook page. If you do not have one, make one! Facebook currently has 1.65 billion active users. Even if you only capture a small percentage of that audience, it could be a huge boost for your business. The large audience, ease of sharing information and relatively simple startup process make it an essential tool for business owners. 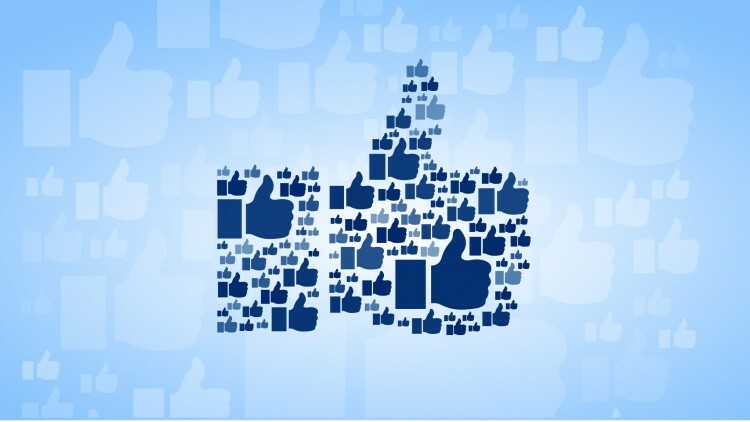 Once you have a Facebook page, the next step is increasing your business’ number of likes. Here are some social media tips on how to get more Facebook likes. Your Facebook page should be easy to locate in the search function. Make sure the business name is displayed correctly. Also, include abbreviated versions of the name if possible. Add a picture of the business as your profile picture and cover photo. But also do not forget the value of adding photos of your team in action throughout the year. Make sure your business hours are easy to find and up-to-date. Include the physical address and any relevant information you would include on a traditional website. Be sure to also include a link to your website, if applicable. This is a good place to start for business owners that want to know how to get more Facebook likes without paying exorbitant Facebook advertising costs. This might seem like a no-brainer. However, you might be surprised how many business owners do not tap into their personal network to increase Facebook likes for their business. You can directly, but politely, ask your friends to support your page. Add your Facebook page to your email signature so all email recipients can see the Facebook url. If you have a traditional website, make sure there is a Facebook like button somewhere on the site. Do the same for all other forms of social media you utilize. Make sure your personal Facebook profile is linked to the business page so people know who you are and what you do as a business owner. This is the most important step in learning how to get more Facebook likes. You have to engage your audience. Post original content that generates a response, do not just share content from other pages. Ask a question, poll your followers, get opinions! Make sure you are relevant to your audience and speak to them in a way that makes sense. You can lose followers by being too stuffy on social media. However, you can also lose followers by acting unprofessionally online as well. Make sure you answer questions that followers post. The quickest way to lose followers is by not being available to your audience. Post pictures that are easy to share and use the tagging and hashtag features. These features encourage followers to share your post. Do not repeat your posts. However, it may be beneficial to form a routine. Create scheduled posts at peak usage times that encourage discussion. This could be a fun fact of the week or a photo that fits a particular theme, for example. Followers will look forward to weekly discussions, but make sure it is not boring by repeating content. The number one easiest way to get more Facebook likes is to create content that people want to share. Sometimes, this is easier said than done. But a great way to create share-worthy posts is to think about what you share on your personal page. Perhaps on LinkedIn you would share inspirational career quotes, but that will not work well for Facebook. What do you friends share from the pages they like? There are also plenty of tools online that help you to see what is currently trending. This provides a great resource to see what people care about to use as inspiration to curate your content. If you want to gain followers steadily and easily, make your content shareable. One way to build your followers and get more Facebook likes is to team up with a similar business. This will allow you to tap into their audience. Speak to another business owner in a related field. You may want to avoid direct competitors, unless you work in an industry that is highly cooperative. You must make sure your partner is open to a cooperative, cross promotional idea before attempting this. Once that is established, create an event where both business are involved or offer a discount at your establishments if customers visit both locations. If you can’t cross promote, you can promote your page with Facebook advertising which costs very little to get started. If you want to know how to get more Facebook likes, try giving away something for free. People love free stuff! Doing a giveaway that involves liking your Facebook page or encouraging followers to share your post is an excellent way to bump your numbers. If you cannot afford to give something away for free, post promotions or sales to your Facebook page. You could even post a special discount code on the Facebook page. This should, of course, be in addition to using your page to field customer complaints. Followers will share this with friends who are also looking for a good deal. Deals and free gifts are a great way to get more Facebook likes. Business owners that want to know how to get more Facebook likes should get creative and tap into preexisting networks. Create a Facebook page that is informative. However make sure it also represents both the business and customers accurately. Offer promotions online and team up with other local business to increase your audience. Most importantly, engage with your customers by posting fun and exciting content that is easy to share. Also make sure you are regularly answering questions and updating the page. These how-to methods will help you get more Facebook likes. Go ahead and give them a try.